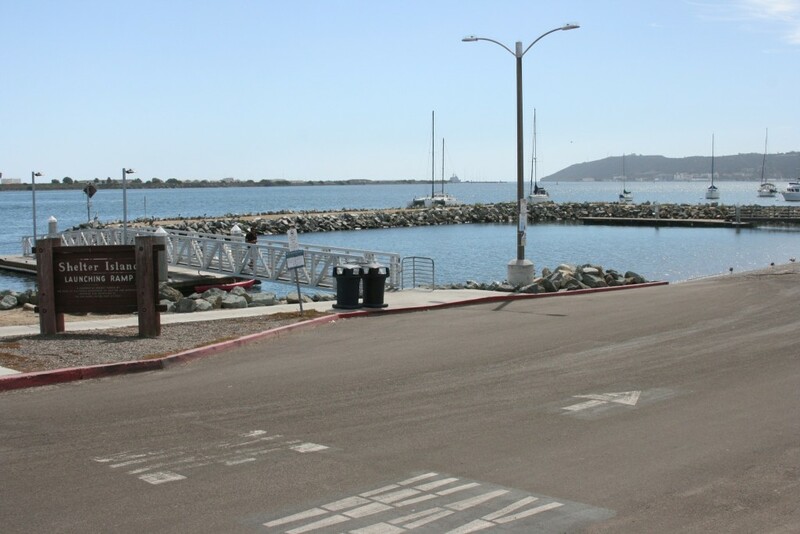 The Port of San Diego announced Monday that it received a $6.1 million state grant to renovate the boat launch facility at Shelter Island. The grant from the state Division of Boating and Waterways was approved at a recent meeting in San Diego. The $9.5 million project entails improving the 1950s era launch ramp’s basin by enlarging the maneuvering area, replacing the worn-out launch ramp, increasing the lengths of the boarding floats, providing a concrete drop-off area for kayaks, and bringing the restroom to current Americans with Disability Act standards. When completed, the new launch facility basin will be 82 percent larger. The last major improvement occurred in the mid-1970s with the construction of the existing 10-lane boat launching ramp. The facility is used by recreational boaters with small yachts, inboard and outboard motorboats, private fishing boats and fishing tournament boats competing for space. Amphibious tour buses also use the launch. Most of the rest of the renovation cost could be covered by the state Wildlife Conservation Board, which informed the Division of Boating and Waterways of its intention to provide funding to support the project. Port officials said they expect to begin soliciting construction bids late next year, with completion of the project by December 2017.